A Target store in Daly City, Calif. advertises for employment. 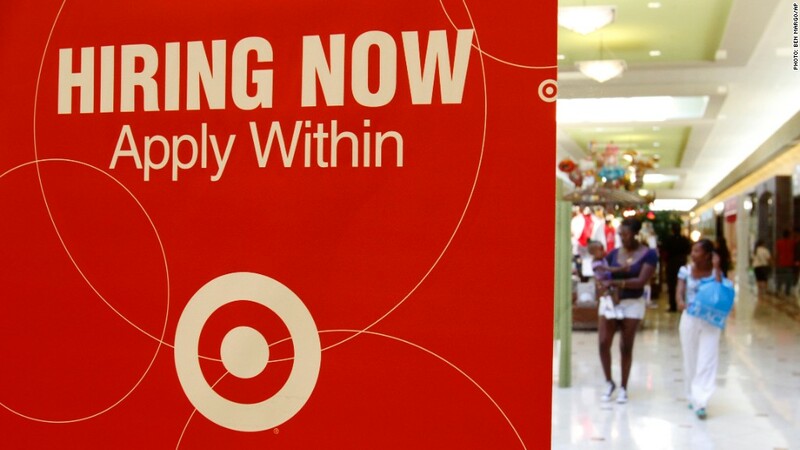 Target is scaling back its holiday hiring. The discount store chain said Friday that it plans to hire about 70,000 temporary workers this year, down from 88,000 a year ago. Target said it planned to offer more holiday hours to full-time staff members -- "as much as five to 10 percent more for the busiest periods around Black Friday and the week before Christmas." "This approach takes into account recent trends that are becoming more and more pronounced—the busy periods are busier than ever, while the early part of December is quieter," Target (TGT) said. "And with year-round team members looking for more hours, we want to accommodate their requests first." Off the 88,000 seasonal workers hired last year, Target said 34,000 were offered year-round roles. Industry tracker ShopperTrak said this week that it expects retail sales to rise 2.4% versus last year in November and December. "Although the economy continues to recover slowly, consumers remain cautious about spending and are not ready to splurge," ShopperTrak Founder Bill Martin said . Retailers have to contend with a shorter peak-shopping season this year. Black Friday doesn't fall until Nov. 29, compared with Nov. 23 in 2012.